8 Marchhall Crescent is located over the top two floors of a traditional stone building in Prestonfield, Edinburgh. Access is via an internal staircase on the east elevation. 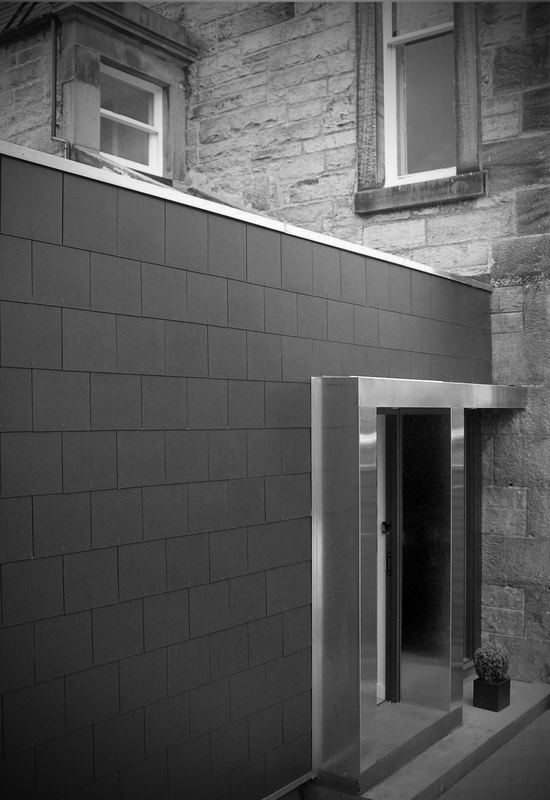 An important aspect of the design brief was to provide both a visible entrance and a flexible garden room, connecting the house to the rear walled garden. 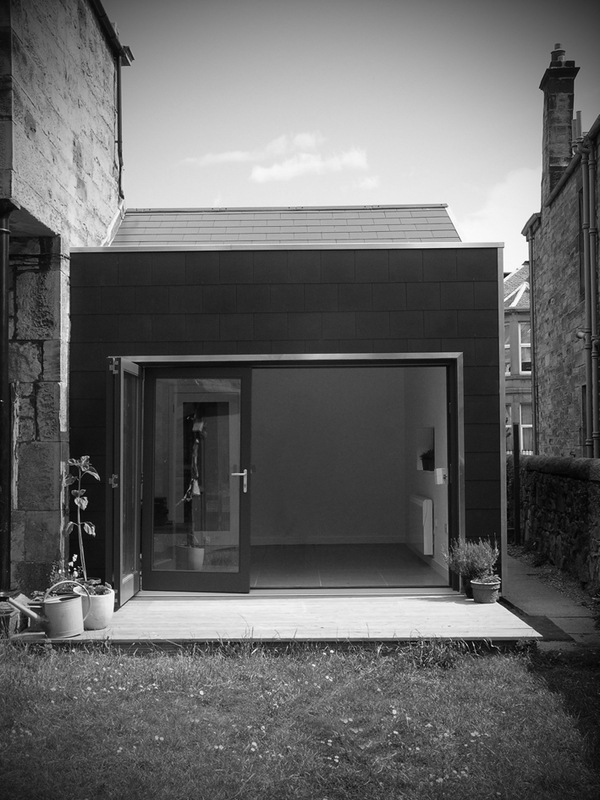 The new extension provides a lobby, a pause space before ascending the stairs, a double height living space opens up towards the south facing garden, maximising solar gain and providing a much needed connection with the outdoors. *Project carried out while Principal at Dualchas Building Design. 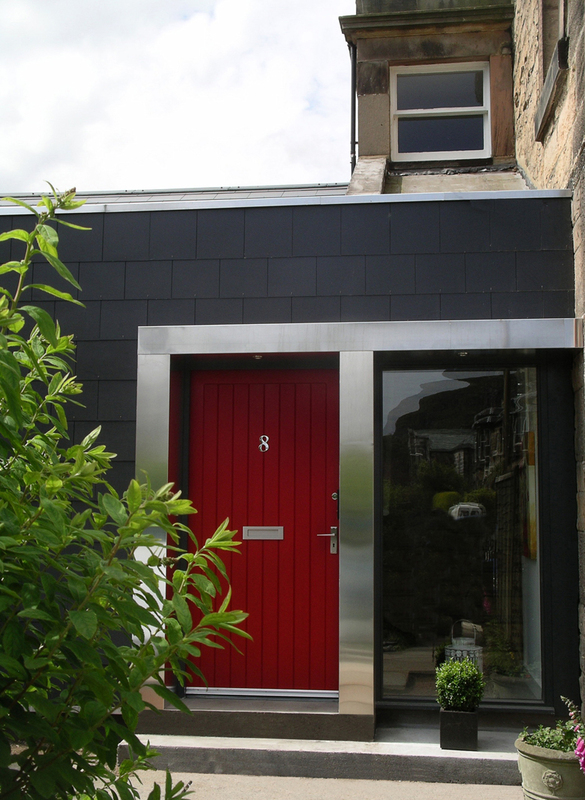 The bright red door and aluminium canopy allows the entrance to be easily identified to visitors and passersby.